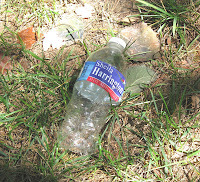 Trashpaddler's Waterway Wanderings: Getting the Message Out with Single-Use Plastic Water Bottles? Getting the Message Out with Single-Use Plastic Water Bottles? While Mrs. Trashpaddler and I were pedalling our bikes on the Nashua River Rail Trail yesterday, we came upon and recovered this discarded single-use plastic water bottle, pictured at left. It is unusual in that it bears the name of a candidate for Massachusetts State Representative. The bottle is also interesting because it states the bottle has a redemption value of five-cents in California, Connecticut, New York, Oregon, Hawaii, and Maine (not exactly what I'd call the lunatic fringe). 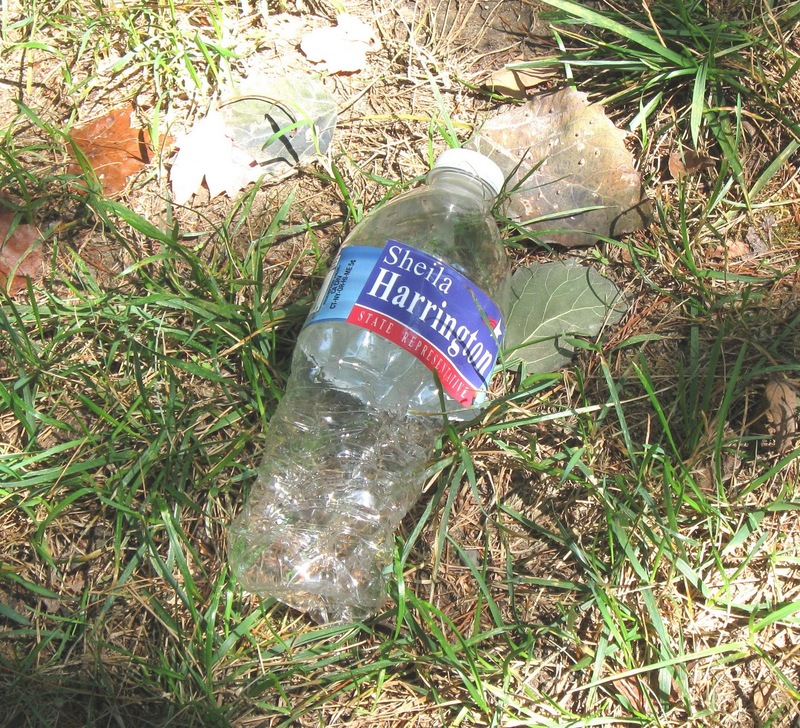 So, I'm left to wonder what this candidate's position is in regard to expanding the Massachusetts Bottle Bill to include redemption for single-use plastic water bottles that often end up in the environment. I'm also left wondering if this might be part of the bottled water industry's response to activist Jean Hill's recent efforts to ban the sale of such bottles in the town of Concord, Massachusetts.